Professional repair and replacement of loose and broken roof tiles to maintain the structural integrity of your home. Over time slipped and broken tiles can cause real problems for your home, letting in water and allowing warm air to escape. Keeping on top of these smaller problems will ensure your home remains safe, warm and free from additional structural damage. 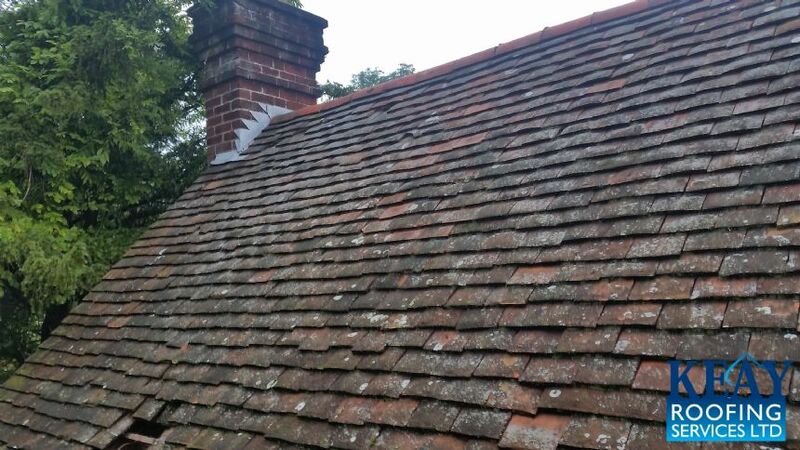 Keay Roofing offers a professional, cost effective and fast roof tile repair service to properties across Berkshire and Buckinghamshire. High winds and storms are one of the major causes of damage to tiles. Loose tiles are hazardous to property and people as they are at particular risk of being blown off in the next high gust, resulting in more damage and higher repair costs. If a roof tile has been displaced, it should be replaced quickly to prevent water from penetrating and causing damage to the felt and timbers underneath. For a FREE roof repair quotation, call us on 0800 1577424 or complete the call back form on the right.